Ever since its introduction in 1989 ATV’s Single Process Chamber approach has built a strong reputation in the R&D and pilot line production market. The SRO-700 table top IR vacuum reflow oven is the essential entry level reflow soldering oven capable of fulfilling all your basic process requirements. 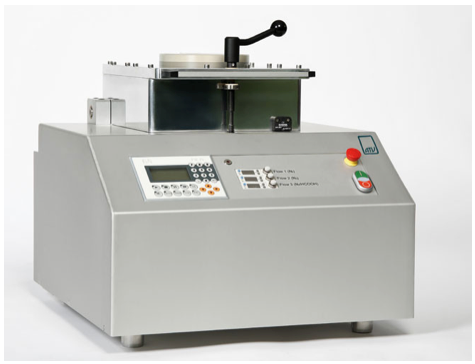 And this table top soldering system is the ideal tool for R&D applications as well. With its rapid thermal annealing and brazing capabilities, the SRO-700 is equally suited for your basic reflow soldering applications as well as all your R&D assignments. A cold wall chamber principle in combination with the IR lamp heating technology and the vacuum option will reward you with all the required process repeatability and perfect void free solder joints. 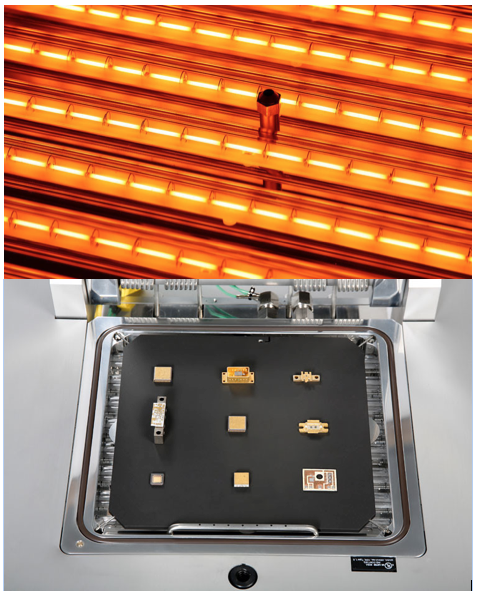 With its 100 mm clearance over the heated surface the system can handle products like IGBT and power electronics packages. Whether using flux, flux less or solder paste the SRO-700 is an incredibly versatile reflow oven for every thinkable semiconductor and MEMS application. Whatever the objective the SRO-700 is ready to handle it all. Just imagine creating a flux less process via a formic acid atmosphere and receiving perfect void free soldering results – again and again. Due to its very low nitrogen consumption the SRO-700 is prepared for the latest generation of flux-based solder pastes which depend on low oxygen content during the process run. Rapid single wafer processing < 20°C/sec.